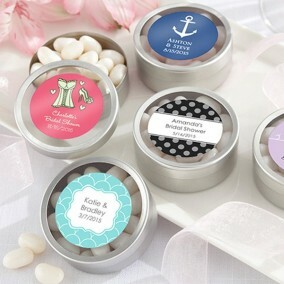 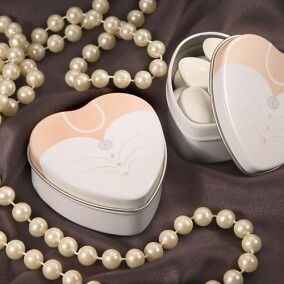 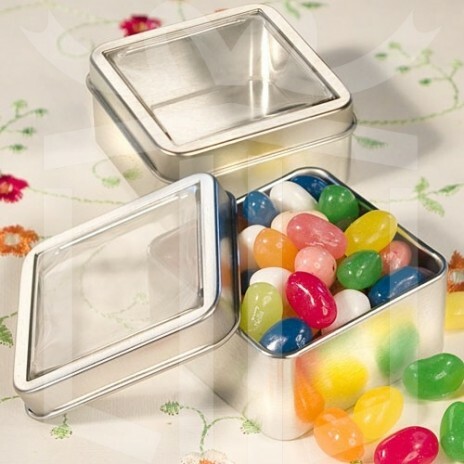 Popular as favors for all types of occasions, mints tins give you the opportunity to fill them with candies, mints, confetti or whatever you can imagine. 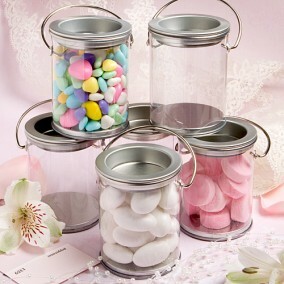 And they can also be useful little containers for your guests to refill once they take them home. 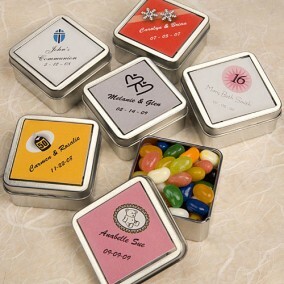 Each 5.7 cm x 5.7 cm x 2.5 cm square mint tin favor has a clear window top that's just a perfect place to add a personalized tag or label.